Did Army man’s bullet kill police officer during Bulandshahr mob violence? However, his mother Ratan Kaur claimed that her son was posted in Kargil and denied he was present in Bulandshahr on the fateful day. 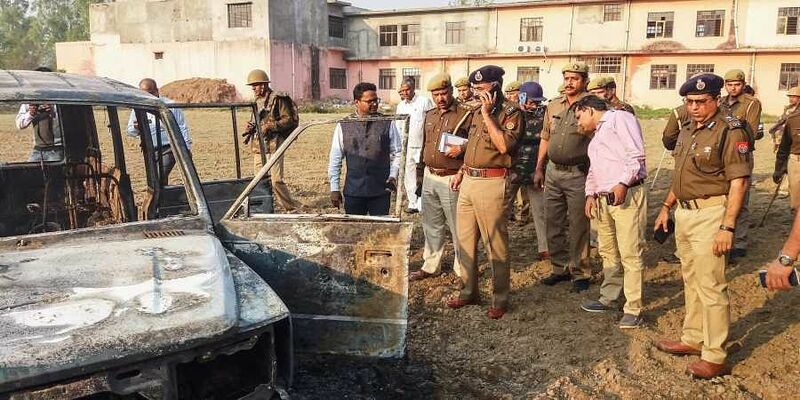 LUCKNOW: Who pulled the trigger of the firearm that killed police inspector Subodh Kumar Singh during the Bulandshahr mob violence on Monday last? According to highly placed sources, the probe team, after sifting through as many as 203 video clips, has turned its needle of suspicion on Army jawan Jeetu who hails from Bulandshahr but is currently said to be posted in Kargil. He was on leave and among the mob when violence broke out over alleged cow slaughter leaving two persons dead. The probe team found digital evidence of him (locals call him Jeetu Fauji) firing from a weapon, sources said. Two police teams have left for J&K to bring him for interrogation. ADG, Meerut Zone, Prashant Kumar confirmed the involvement of Jeetu, adding he was among the 27 named accused in the first information report (FIR) filed after the mayhem. The UP police said they were in touch with his commander. However, his mother Ratan Kaur claimed that her son was posted in Kargil and denied he was present in Bulandshahr on the fateful day. But his other relatives confirmed he was at the spot but left for Kashmir the same evening. One of his cousins is also named in the FIR.